Hi, and thanks for visiting our website. We are a small local family business located in the Fox Valley of Wisconsin. Real Estate is a true passion for us, and helping people sell their properties in this market as well as helping others find quality homes is what we're all about. Most often when we buy a home, we completely rennovate it and get it ready for the next family to live without the worries of maintenance for awhile. 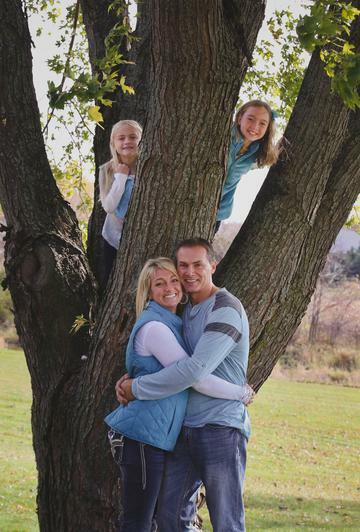 Our team is made up of husband and wife, Brett & Jacci Konkle. We are a licensed and insured General Contractor, and we work with many quality, local contractors and sub-contractors! We are happy to talk with anyone about their current situation and help in any way we can even if we don't end up buying your property. Call us and let us know what you need. Also, we can now help you to sell your home through our Rent To Own program or with Jacci's creative marketing and sales program through a listing with her as YOUR Realtor! One way or another, there's just GOTTA be a way we can help everyone who needs to get a home sold (or bought). We can even help you find a foreclosure in a neighborhood that you like and employ our contracting license to get it fixed up to your design to make it the home you've always wanted :0) Give us a call. You can also see more about Jacci's services as a licensed Realtor at www.MyHomeDealership.com.